The hustle and bustle of the holiday season is upon us and it’s important to take a moment out for yourself, so go see a show. There are always a plethora of concerts to choose from and many have a holiday theme. The Barra MacNeils, one of Canada’s favourite bands, bring a taste of Christmas on the East Coast to the heart of Alberta just in time for the holidays. Hear the five MacNeil siblings perform An East Coast Christmas, continuing a national holiday tradition that has entertained millions of concert-goers over the past 15 years. Hear Tom Jackson’s smooth baritone fill the Bella Concert Hall as he brings The Huron Carole concert series to Calgary in support of Alpha House. A seasonal music tradition spanning three decades, touring from coast-to-coast-to-coast, each concert raises funds for local food banks and social service agencies. Ring in the holidays with the Calgary Philharmonic Orchestra and honey-toned jazz sensation, Canadian crooner Denzal Sinclaire. A veteran collaborator of jazz legends like Wynton Marsalis, Dee Dee Bridgewater, and the Count Basie Orchestra, this National Jazz Award recipient and multiple JUNO Award nominee brings to life Nat King Cole’s timeless songbook in a symphonic Christmas special. Cowtown Opera’s annual celebration of the holidays is back, so be sure to join the Cowtown family for musical merriment, holiday hi-jinks, and seasonal sing-alongs. San Francisco-born drummer Jerry Granelli was a fixture on the Bay Area hard bop scene and was known for his psychedelic sessions for such luminaries as Sly Stone in the 1960s. In 1965, pianist Vince Guaraldi was commissioned to write the music for an animated half-hour Christmas special featuring characters from Charles M. Schulz’s Peanuts. The sole, surviving member of the original recording group, Granelli revisits the now legendary session alongside a charming local children’s choir. Join the Rhythm of the Rockies for a musical journey from far in the future to days gone by and find that warm feeling this holiday season. Be sure to bring a new unwrapped teddy bear or gently used jewellery to donate to Gems for Gems. Head to Knox United Church for three nights of carol singing from Calgary’s best choirs and includes a sing-along with choir and organ. Non-perishable food items or a cash donation for the Calgary Food Bank is welcomed for admission and seating is on a first-come first-served basis. From Abigail Richardson, the UNESCO Award-winning composer that brought The Hockey Sweater to musical life, comes the highly anticipated world premiere of Making Light. Rounding out this family-friendly day with the Calgary Philharmonic Orchestra is Howard Blake’s classic wintry animation The Snowman, narrated by Jonathan Love. If you love early music, this concert is a must. Imagine a merry band of faithful travellers from different countries who are on their way to Rome to celebrate the season and join the Calgary Renaissance Singers for this special concert full of Renaissance Christmas music. A premier, independent, post-secondary preparatory school located the SE Calgary, hear what the students have learned this semester at the West Island College winter concert. Celebrate the spirit of the season with a selection of holiday favourites from the Calgary Philharmonic Orchestra. And, for the first time, this popular holiday tradition can be enjoyed in Okotoks and Rocky Ridge too. Be sure to get your tickets early—these concerts sell out every year. Calgary writer, storyteller, and musician Steven Méthot returns to Calgary’s own Victorian mansion to perform Dickens’ cherished story from memory while animating the voices of all 30 characters. Accompanied by three talented musicians, Natalie Manzer, and Karen and Michael Pollock, grab your tickets early as these shows always sell out. A family evening of songs, stories, surprises, and lots of Christmas sparkle, join Dave Kelly for his annual Christmas spectacular. Featuring special guests Jocelyn Alice, the Young Canadians, The Flat Whites, Mandy Stobo, and, the man with the beer, Jim Button, this show is the perfect seasonal love letter to Calgary. Santa is not in a very good mood and needs some help to get in the Christmas spirit. Luckily, the Stampede City Chorus is ready to help. Don’t miss this concert featuring Calgary’s own a cappella men’s barbershop chorus. Over the past decade, The Jingles have been putting on annual holiday shows and events. 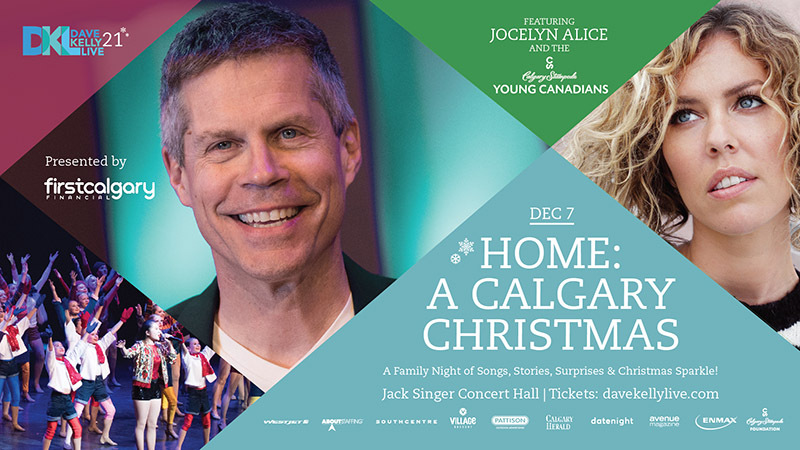 A tradition for many Calgarians, join The Jingles for a great show with all proceeds going towards the Calgary Food Bank. Festive costumes and ugly sweaters are encouraged. Join The Festival Chorus in celebrating its 60th anniversary and get your holiday season off to an enchanting start. This family-friendly concert features traditional German Christmas carols and selections from J.S. Bach’s Magnificat in D.
A showcase of the work of the MRU Conservatory choral ensembles, including Arietta, Aria, and Arioso, this special concert also features the Conservatory Sinfonia and a performance of Dr. Seuss’ How the Grinch Stole Christmas courtesy of the MRU Speech Arts Performers. Bring your family to this holiday concert featuring Christmas stories told and sung by the Calgary Civic Symphony. A pre-concert chat takes place at 1:45pm, so make sure you swing by early. Join the Youth Singers of Calgary for its annual Christmas spectacular as the company of over 250 singers and dancers take to the stage to lift your spirit and help find your Christmas magic. It’s sure to be a dazzling original production. What began as a small, single performance in 2004 has now become one of Calgary’s most popular holiday concerts with three performances and over 1,000 people attending. This annual Christmas production features an eclectic array of songs from the season including a breathtaking performance of O Holy Night by over 160 singers. Over an illustrious career, multi award-winning singer-songwriter Johnny Reid has captured the hearts of fans and audiences around the world. The critically acclaimed singer is widely known for his lyrical honesty and musical ability, so don’t miss this intimate holiday concert with the Calgary Philharmonic Orchestra. Sure to be a new Calgary holiday favourite, Rune’s Classical Christmas combines the finest in winter-inspired orchestral writing with traditional carols. Featuring Swedish composer Lars-Erik Larsson’s picturesque and whimsical Winter’s Tale and Tchaikovsky’s First Symphony Winter Daydreams, don’t miss this evening with the Calgary Philharmonic Orchestra. Are you dreaming of a White Christmas? Join the Calgary Men’s Chorus on a snow filled choral adventure of classic Christmas movies featuring special guests, the Mistletoe and Holly quartet. Get into the holiday spirit with Eileen Kosasih’s Classical Variety Show as Matthew Bruce and Meghan Goguen of the Cowtown Opera Company dazzle with oratorio and operatic versions of Christmas classics. Expect masterpieces by Mozart, Dvorak, and Handel alongside stunning vocal renditions of your favourite seasonal tunes. The night is rounded out with performances from new string quartet North 440, cellist Jenny Crane, and the Rosewood Trio. A chorus of jazz, gospel, folk, and world music to ring in peace for the coming year, join the Vocal Latitudes World Music Choir for this energizing choral performance. The Silver Stars Musical Revue Society is back again with a brand-new Christmas production. Through November and December the group is touring the show to retirement and seniors’ extended care facilities across Calgary, but for one afternoon only you can see this unique blend of music and dance. Always a great time, join the Major Minor Music Project for its third annual edition of Punk Rock Christmas Bowling. And this year every ticket comes with a limited-edition vinyl record. Celebrating its 10th anniversary, The Jingles are putting together a festive frenzy at the Blind Beggar Pub that will be a night to remember. Joined by special guests Saints & Sinners, Follow The Rabbit, and Jolena Sebry, dress in your best festive costumes or ugly sweater for this unique seasonal offering. For its eighth annual Christmas concert, join the New West Symphony and Chorus for a fun and relaxing evening of holiday classics and new favourites. Sharing music that celebrates winter and Christmas, the Calgary Multicultural Choir will warm your hearts with traditional and contemporary arrangements sure have you humming along to a few familiar tunes. The concert also features special guests Harmony GuZheng Ensemble. Donations for the Calgary Food Bank welcome. A Calgary Christmas tradition featuring the Calgary Girls Choir’s Dolce, Viva, and Brava choristers, hear a selection of festive music and traditional Christmas songs at the beautiful Knox United Church. Accompanied by Claire Butler, Minsung Pyo, and organist Chellan Hoffman, the choir is conducted by the group’s founder, Elaine Quilichini. Celebrate the Christmas season with an exquisite program of choral music with Spiritus Chamber Choir in the beautiful Bella Concert Hall. The concert features Marc-Antoine Charpentier’s French baroque masterpiece Messe de Minuit pour Noël (Midnight Mass for Christmas) paired with Italian composer Ottorino Respighi’s Laud to the Nativity in this colourful Christmas program. Get in the seasonal mood with Canadian vocalists Deanne Matley and Johanna Sillanpaa as they sing tunes from their Christmas albums as well as some fan favourites. Backed by a fabulous band of Jon Day on piano, Kodi Hutchinson on upright bass, and Jon May on drums, this concert is a December highlight. 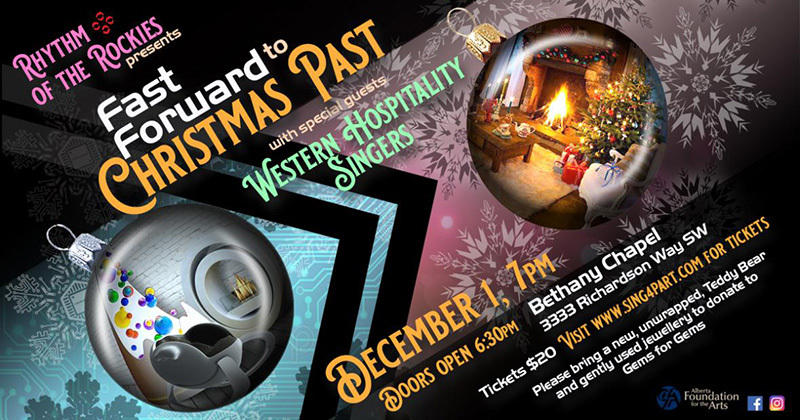 Join celebrated Canadian vocal trio, The Willows, and award-winning bassist, George Koller, for an evening of original tunes and holiday classics. Together, their signature nostalgic charm and refreshing harmonies are sure to transport you to a classy, refined, and adventurous time in music. Make a gift to the Calgary Interfaith Food Bank to grab your tickets. Prove to your kids you’re still cool by taking them to the season’s most raucous all-ages Christmas show. Join Danny Vacon and Matt Doherty of the bass-and-drums rock ‘n’ roll duo HighKicks for the forth year running. 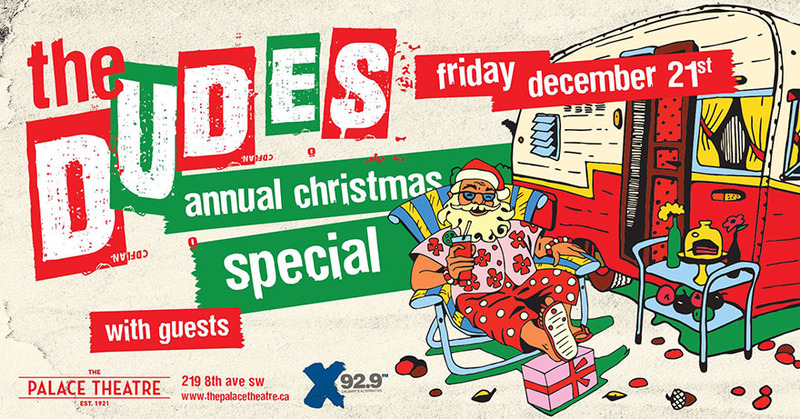 Presented by CFMF Live and Major Minor Music Project, this kid-friendly show is sure to be full of holiday surprises. A holiday concert with a twist, get ready to rock as The Dudes take the stage alongside an incredible lineup of special guests. It’s a festive evening that’s worthy of a few beers and cheers. Back for its second year, join Mandy Morris for this holiday fundraiser. 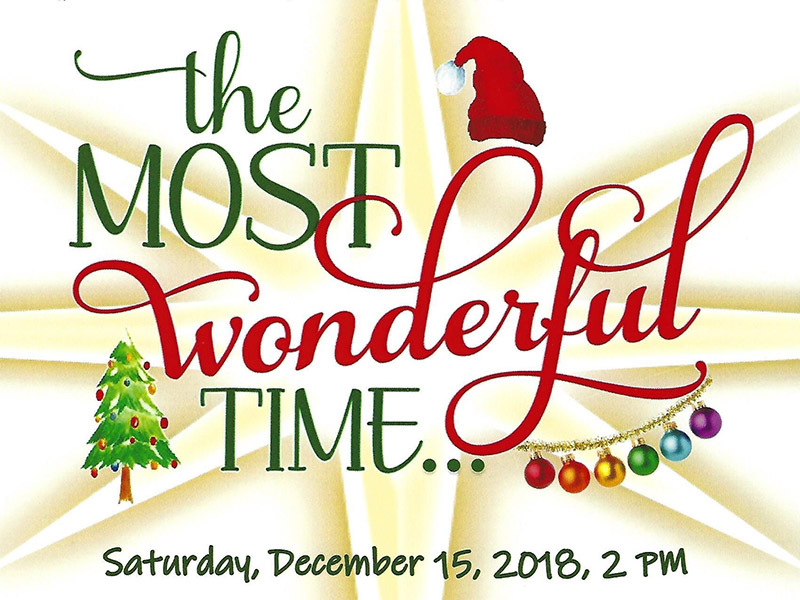 Fun for the whole family, the show has grown and features a live band, 10 local youth, Christmas carollers, games, and a chance to be in a Music with Mandy music video. Tickets are pick your own price with all proceeds going towards the Legacy Children’s Foundation Gift of Music Program. A beautiful, traditional Christmas experience in the warm, intimate acoustics of Christ Church Elbow Park, hear a full performance of Handel’s beloved Messiah from Calgary’s Early Music Voices. Featuring guest soloists Gillian Keith, Christina Stelmacovich, Benjamin Butterfield, Andrew Mahon, and an elite 16-voice choir made up of VoiceScapes and other professional singers, the performance is capped off by Rosa Barocca on period instruments. The glow of candles warms the heart as the angelic sound of children’s voices uplift the spirit. Join the Cantaré Children’s Choir as it presents its most cherished concert of the year. In 1993, four lads from Calgary started a singing group to get dates. Now, countless songs, stories, and shows later, these hometown favourites are bringing their comic a cappella stylings to the Bella Concert Hall for a special 25th Anniversary event. Expect family-friendly fun with some surprise guest appearances. Join the Calgary Jazz Orchestra for this Christmas tradition. A concert for all ages featuring Johnny Summers, enjoy holiday favorites and music made popular by Frank Sinatra. The Calgary tradition lives on, now under the Early Music Voices banner, as the 17th annual Sing Along Messiah concert takes over Knox United Church in downtown Calgary. It’s an incredible opportunity for the audience to join the professional choir and sing along with the choruses or just sit back and enjoy! Ring in 2019 with Luminous Voices’ popular New Year’s Eve tradition featuring some of the gems of choral music by Palestrina, Gabriel Jackson, William Harris, and more. Admission includes special treats during intermission such as delicious bites from The Chocolate Lab and others. Usher in the New Year with a glittery celebration of singing and dancing to delight the senses. A 22-year Calgary tradition, this concert recreates the beauty of Vienna’s golden era and charms audiences of every age. 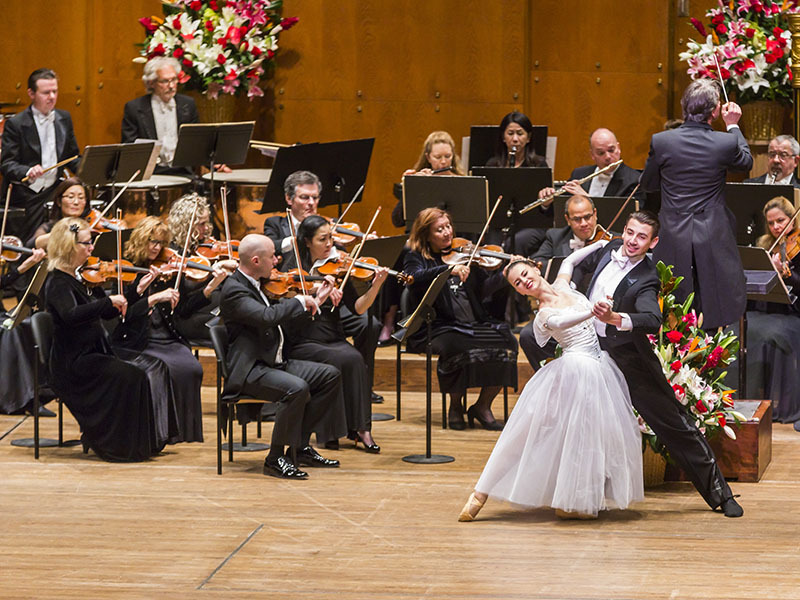 This year’s concert features a new program of Strauss waltzes and sweeping melodies from beloved operettas performed by acclaimed European singers, champion ballroom dancers, and the Strauss Symphony of Canada featuring Calgary Philharmonic Orchestra. Have a concert that’s not listed above? 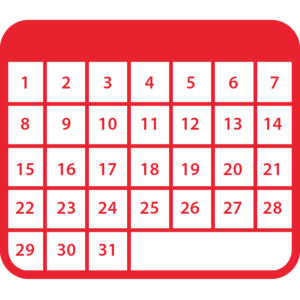 Email us at events@calgaryartsdevelopment.com or fill out this form.